8.25" Sawarovski 3mm bi cone peridot crystals and silver Marcasite watch. Petite peridot pizazz for your wrist. 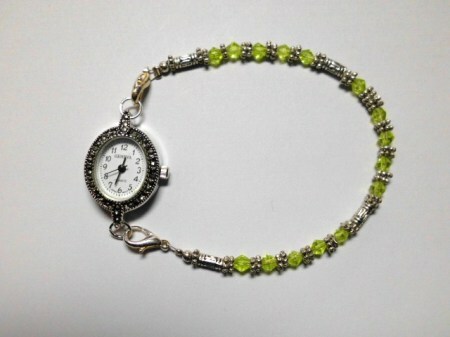 3mm Sawarovski peridot bi cone crystals, silver beads and Marcasite watch bracelet.